The film world lost a legendary figure on Friday morning, when it was announced that Agnès Varda had died. The news sparked an immense outpouring of support, and it seemed as if many of the tributes were unified by a sense of boundary-breaking inspiration. 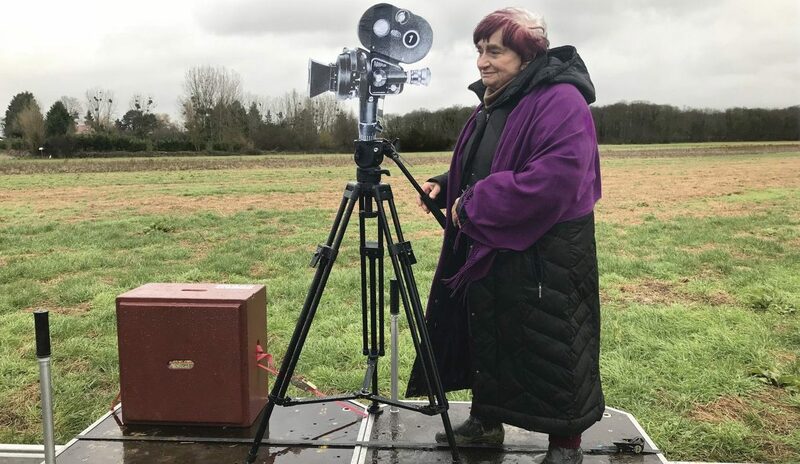 Varda said that she always “wanted to make people see deeply,” that she didn’t want “to show people things, but to give people the desire to see,” and the response to her passing seems to prove that she was successful in her mission. This week’s question: How did Agnès Varda inspire you? Though I’m unfortunately not as well-versed with Varda’s work as the many others who have written more extensive or personal tributes, what’s clear to anyone with any familiarity with her remarkable life and career is that she had a permanent sense of enthusiastic innovation. There’s a reason that her films resonate across decades and generations, and that’s because she was a figure undeniably present in countless moments and movements. For me, the mere idea that her voice always seems to be there, examining the questions that face humans or humanity at large in every context, no matter where you look—from the 1950s through the 2010s; in shorts or features; in fictional narratives or documentaries; in photography or films—renders her legacy and her art deeply inspirational and that much more wide-reaching. It’s awe-inspiring to imagine the personal strength that’s inseparable from Agnès Varda’s relentless artistic innovation and self-renewal. Circumstances conspired with a metronomic regularity against her career; despite her meteoric début at twenty-five, she needed to restart her work, to find a second act, around the age of thirty, a third by forty, and so on, until, in her early seventies, she launched the final stage with a mighty artistic impetus—and, had illness not intervened, she’d surely either still be rising or be propelling herself in yet another astounding new direction. As she saw herself aging, it wasn’t an artistic infirmity but a matter of cinema; when the budget was small, she worked locally and invented a local and personal cinema; when she was grieving, she made works of grief, celebration, memory. From start to finish, she found a way, and any self-reinvention was, also, a work of imagination; at the same time, every work was also a bold, even reckless self-revelation. That’s why she has become, more than ever, and very belatedly, an artist of the times. Agnès Varda approached her life with an incredible sincerity toward death. Ironically, for a creator who had such zeal for living, she often embraced her ever-present mortality. As her career progressed, death transitioned from the larger macro subjects of her films, to the micro and personal. Her early work, like the short doc “Black Panthers” wrestles with mortality in the macro, as she documents the misunderstood political movement and how the tragedy of Bobby Hutton’s untimely death was a rallying cry. Her incredible documentary “The Gleaners and I” isn’t solely about the lost heritage of gleaning, but the disintegration of what makes our world recognizable as we age. The multiple instances of her pointing to her aging hands, are stark observations of her near-end-of-life (even if in hindsight she lived for another two decades). There’s also her touching tribute to her late-husband Jacques Demy with her film “Jacquot de Nantes,” replete with interviews from Demy as he was knowingly dying from complications from AIDs. Nevertheless, for every reference to death there’s Varda whimsically embracing life—like the wheelchair scene with JR in “Faces Places.” We spend much of our lives putting mortality out of our heads in the hopes of living peacefully, when often we fail to live at all. Varda comforted death like an old friend, yet still enjoyed a wonderful marriage with life. Her philosophy is an incredible personal ethos that I take with me. With Varda, I started with the later docs — “The Gleaners and I” was my gateway drug — and then worked backward to “Cléo from 5 to 7.” But it was “The Beaches of Agnès” that turned her into my life coach: That this woman could be 80 years old and still so open to life’s possibilities and to the cinema’s new technologies was a reminder to me to try to be like her, to attempt to stay interested and flexible and responsive to the world as I age. I may not be doing so great at it so far, but she’s given me goals and a roadmap. RIP. Everyone takes different routes to finding certain filmmakers and particular influences always serve as treasure troves, or perhaps floodgates. For me, finding Varda in high school broke the dam that flooded my mind with Resnais, Marker, Demy, Godard and others anyone else might have stumbled upon first to get to Varda. But she was my gateway. And while all of those filmmakers are amazing in their own right, if you have a Varda itch to scratch, none of them can reach it. She introduced me to bone dry wit, pragmatic philosophical musings, and a deep sense of humanism that offered combative, empathetic respite to my legalistic high school self and eventually overtook religious devotion as my most significant motivation in life. She cared about people. She cared about community (still reeling in righteous anger over Godard’s rejection of her company at the end of “Faces Places”). She always seemed to keep herself open to everyone and everything, even in her later years. She was a singular presence among the authoritative directorial greats. Varda was so many things at once: A brilliant documentarian and narrative filmmaker, a humble, sassy, and delightful on-screen presence, the catalyst of the French New Wave (and an innovator in filmic style among her contemporaries within), a pioneer in filmic thought around gender and its accompanying social constructs, and reportedly, a wonderful woman all around. 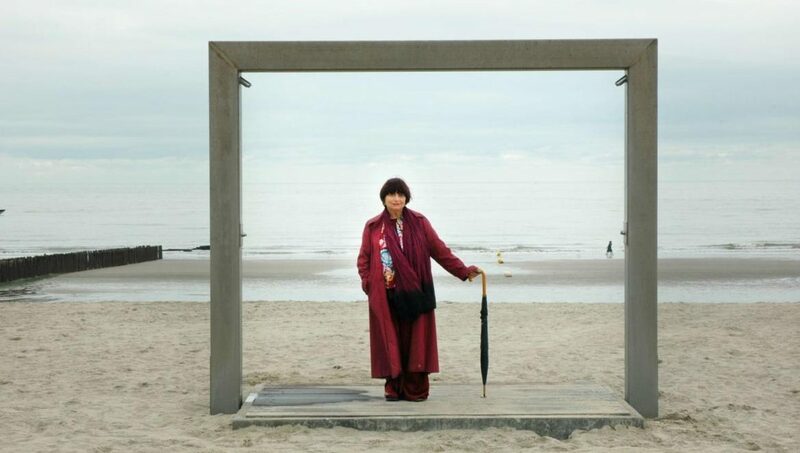 The world is a darker place without Agnès Varda, but a much brighter place for having had her at all. For me, all of that is fresh and available to be seen in the extraordinary documentary, “Faces Places”. Teaming with the much younger muralist JR, we see not just an artistic collaboration, but a personal one. The elder legend and young street artist approach their combined project with a somewhat wary respect. We watch as that evolves into a genuine partnership, one brimming with love. To me, it is tremendously moving. And I have such respect for both, professionals who are open enough to not just listen to one another, but to also learn. Theirs is a path I know I would like to follow. Agnès Varda’s zest for life and art was infectious — she truly cared about the world in which she lived, and she made you care, too. She created art which represented truth; an art which depicted the world in a just and real way. Her use of female protagonists made her a strong (yet subtle) voice in the feminist movement. Her female characters were layered, complex, and their female-ness did not define them. In a 2010 interview with the BBC, Varda said: “What is so good for a filmmaker is to feel I am not forgotten — my films are not forgotten.” Varda’s films will not be forgotten, so long as there are people in the world who care about well-crafted films bursting at the seams with truth and heart. I was late to watching Agnès Varda’s “Cléo from 5 to 7,” not getting around to it until after I had already seen most of the other big French New Wave films, but it made a big impression on me from its very first images. I particularly love the sequence where Cléo is inside the hat store, as horse-mounted military personnel in uniform ride past, reflected in the shop’s mirrors, the camera gliding past in a series of perfect compositions. In that scene alone, Varda proves herself a brilliant visualist, and explains part of the reason why I so often use “Cléo” in my film-history classes to showcase the New Wave. Her last theatrical film, the 2017 “Faces Places” (a collaboration with the French photographer JR) was equally stunning. Unfortunate, then, that it didn’t win the Oscar that year … She was one of the greats and will be sorely missed. Goodness, where to start. I first heard of Agnès Varda in French class during high school, yet I wasn’t able to see her movies until 2 years ago, when Mubi uploaded “The Gleaners & I” and “Cléo de 5 à 7.” Ever since, I’ve been actively looking for her movies, watching every single one of them, and reading every single article and interview I can find. She’s been an inspiration and a role model for me in so many ways: Her empathy towards every living thing, her firm feminism and life philosophies, her dedication towards all art formats, from films to installations, and her loving gaze and faith in humanity gives me hope and fuels me to do better, to keep my mind and eyes wide open and wonder. Madame Varda was a brilliant artist, and I’m glad I got the chance to be alive during the same time as her. Merci beaucoup. 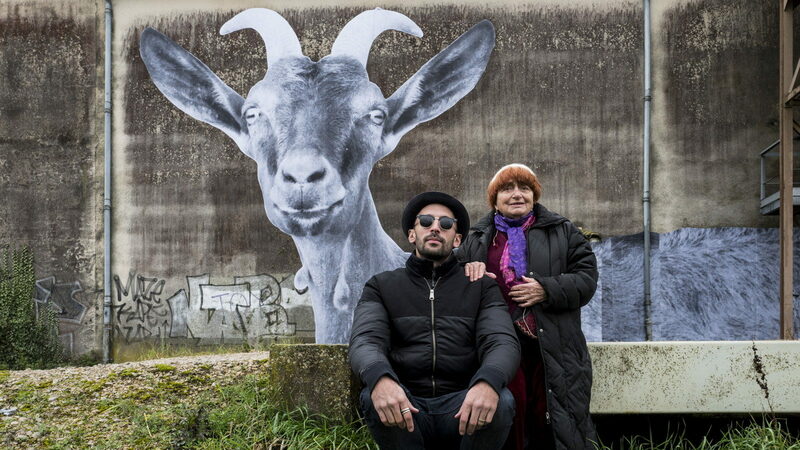 Just look at “Faces Places”, with her infectious glee as she moves from one project to the other even as her eyes – a filmmaker’s greatest tools – begin to fail her. Until her final day, she was committed to working, to making films that highlighted the invisible majesty of everyday people (“The Gleaners and I”, “Mural Murals”). She looked back on her past with a warm nostalgia, while never forgetting the people around her; her comparisons between former New Wave colleague Jean-Luc Goard and “Faces Places” collaborator JR are compliments, not resentments of lost youth. Hers is the kind of joie de vivre I hope to cultivate if and when I reach the age she did: never satisfied with rest on your laurels or coasting on your accomplishments. Just working every day to learn, grow, remember, and create.